Location: 4 km/2 Miles WNW of the city center. By Taxi: To the city BND 15-25/20 mins. Prices are higher at night. Look for Purple taxis outside of the arrivals area or for an additional booking fee of US$1, call PPP on 222-214 or 226-853 from inside the terminal. Note: It has been reported that taxi drivers deny the officially posted rates and charge about 30% more. General: Buses throughout Brunei run only until 6 pm/1800. If the flight arrives later, there will be NO buses. Purple buses #23, 24, 36, 38 and 57: Purple buses #23, 24, 36, 38 and 57 run between the Bus station and the airport for BND 1/30 mins. The bus stop is a few hundred metres to the south as you exit the terminal, on the right. The services can be infrequent and crowded, so taxis are the most reliable way to reach downtown. Hotel Buses: Some local hotels have free transfers for guests. Courtesy phones are available in the terminal. 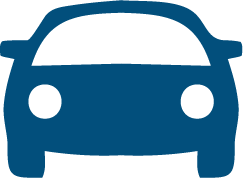 On-Airport Rental Car Providers: Pre-arrange car rental pickups as there are no car rental offices at the airport. AVIS 238-238, Budget 229-388, Elsie 227-237, Roseraya 241-442 & HERTZ. Airport Tax: Intl departure tax of BND 5 for flights to Malaysia, Philippines & Indonesia, BND 12 to all others. Airport Tel No: +673 2 331 706.